While reviewing the older blog posts in preparation for the recent blog update covering our first 5 years on the smallholding, I realised that the livestock still take up a much larger part of our work than was originally expected. I’d even noted this in a blog post last summer but somehow I’d never managed to deal with this imbalance. Originally I had expected that growing fruit and vegetables would be an equal part of the work involved and hadn’t thought there’d be quite such a focus on animals. Obviously that is just the result of the decisions taken over time and these were all based on the options available at the time so I can see how we’ve ended up in the current situation. While the blackcurrants have been a roaring success, the red currants have usually taken the role of a sacrificial crop. We never lose many blackcurrants to the birds but the redcurrants are always picked clean. I think that this year I’ll make a greater effort to properly net the bushes in the hope that we can at least try some of our own redcurrants. 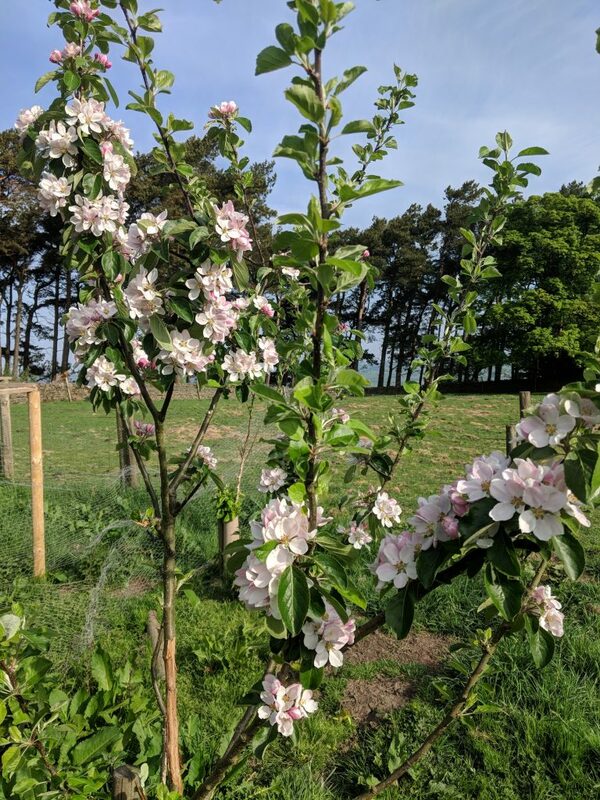 The fruit trees (apple, plum, pear) continue to make good progress but, during the bad snowfall in March, things must have been tough for the local wildlife. 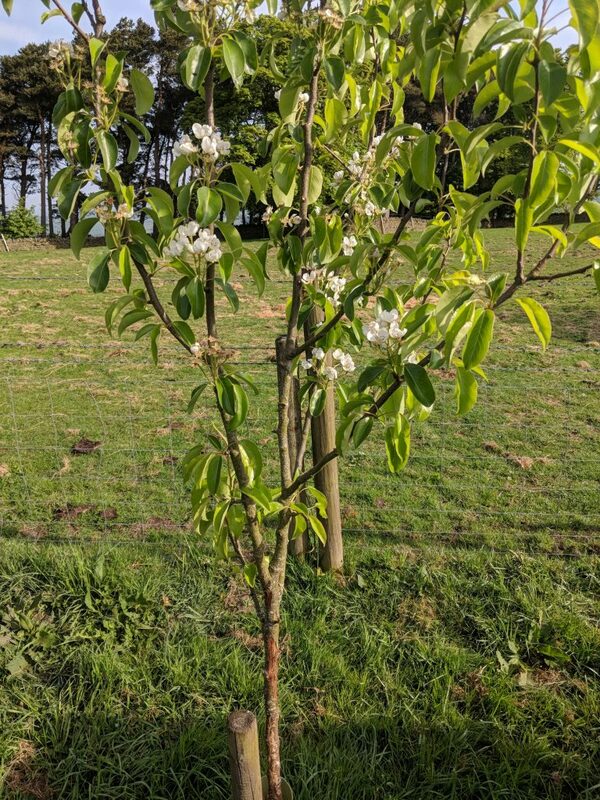 As a result the bark was stripped from most of our fruit trees and I’ve kept my fingers crossed since then in the hope that they’ll pull through. Continuing the general theme of reporting minor disasters, one batch of seed sowing suffered quite badly with an attack of lamb hooves. The “little darlings” pushed their way out an enclosure and over the relatively soft rabbit protection I had in place. 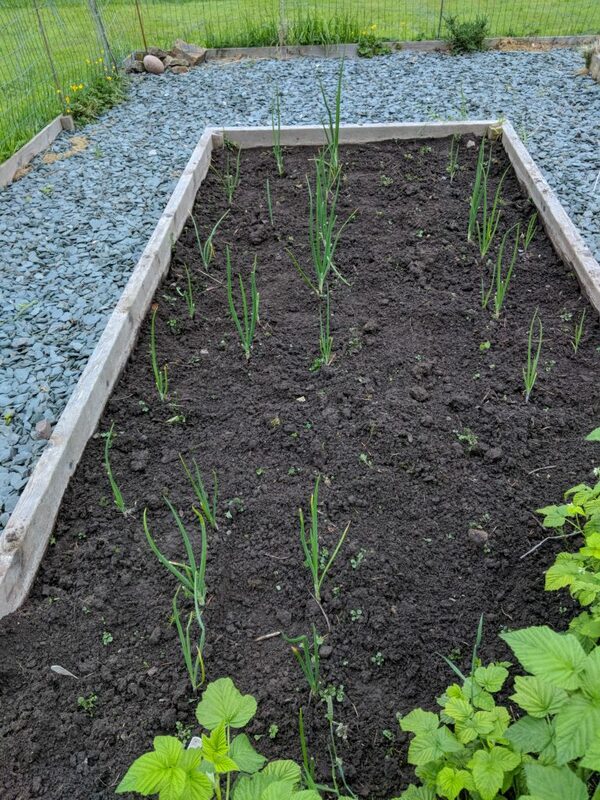 Having just sown some rows of seeds only a few days earlier, I was less than impressed and I plan to use the whole episode to help me get over the difficulties of sending them off to slaughter in due course. 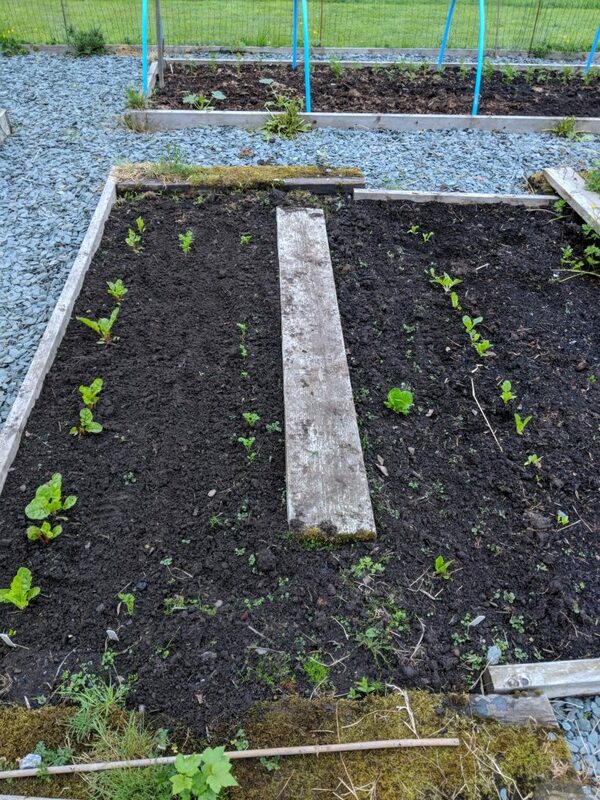 As can be seen in the picture below, there were a few gaps in the rows where carrots and lettuce should be but I’ve now re-seeded them and hopefully we can still make use of the space. 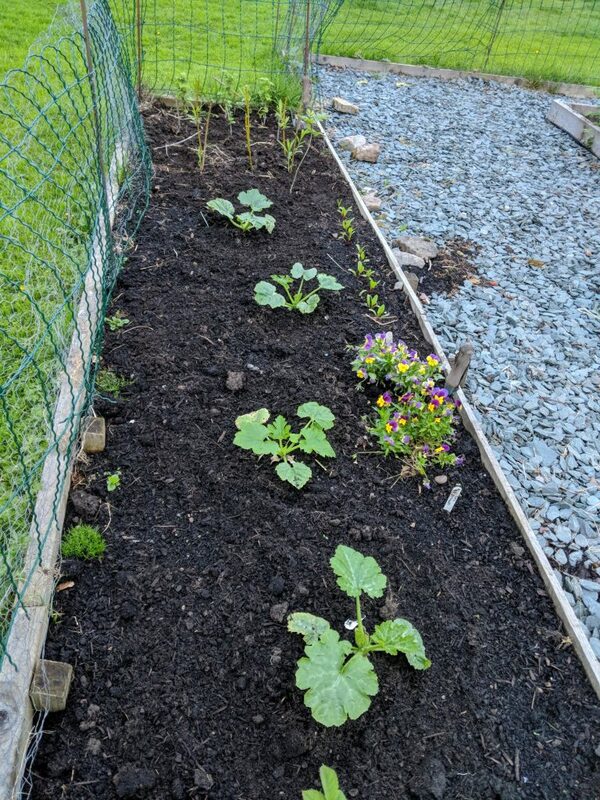 To end on a high note, after a couple of failed years trying to grow courgettes, I have finally managed to raise some that didn’t die within a week or so of being planted out. Unfortunately I can already predict the likely outcome when they start producing because I always plant too many and never learn that lesson!